His second seminal decision to stay in the business also came in 2012, when, after Fast N Furius Cat finished third and eighth, he was claimed for $32,000. Instead of walking away, Hartunian plunged head first into racing, not a bad decision as his Rockingham Ranch and David Bernsen’s two sprinters, Roy H, who is named for Hartunian’s grandfather, and Stormy Liberal, captured their second consecutive Breeders’ Cup stakes in 2018, winning the Sprint and the Turf Sprint. That’s four Breeders’ Cup victories in a little more than one year. Roy H began his career on turf, making nine of his first 12 starts on grass. 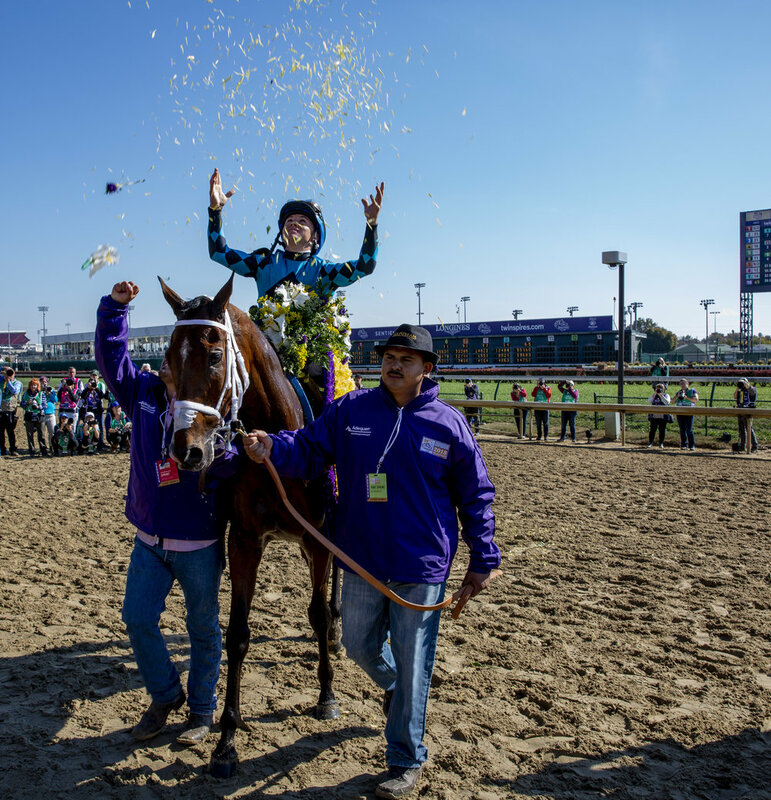 He was zero-for-three on dirt at that point, when Miller returned him to dirt out of desperation and watched him blossom into a two-time Breeders’ Cup winner. Two months after winning his second consecutive Breeders’ Cup race, Stormy Liberal proved that he’s mortal, finishing second to Caribou Club in the Gr3 Joe Hernandez Stakes at Santa Anita on 2019 New Year’s Day. A year ago, after Stormy Liberal won the Breeders’ Cup Turf Sprint at Del Mar, he finished 11th in the Gp1 Hong Kong Sprint. Then, after finishing second in the Gr3 Daytona Stakes at Santa Anita, he was second by a half-length in the Gp1 Al Quoz Sprint in Dubai. He’d literally taken his connections all over the globe. They could have gotten to those exotic destinations in an airplane or on a yacht, but what fun would that have been?